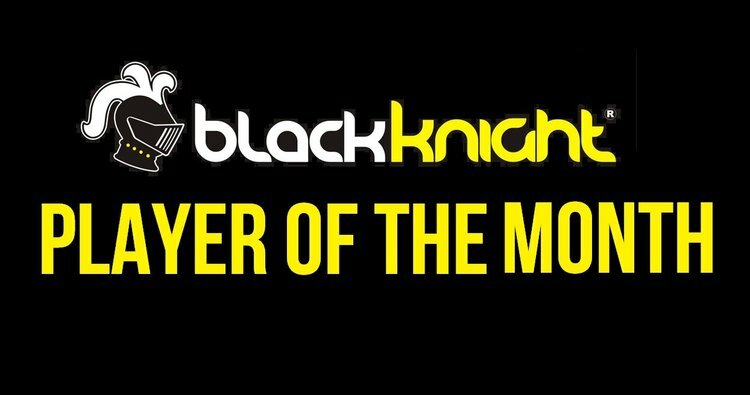 Our Black Knight player of the month award continues to recognize outstanding individual achievement across male and female senior categories and celebrate Ontario’s amazing squash community. After a long Winter, we congratulate Sybille Witt and John Hall whose stars shone brightest amongst many great performances. John Hall of the Toronto Cricket Club captured the very elusive provincial championship double-double, taking home both the Ontario Mixed 50+ championship (with partner Tammie Sangster) and the Ontario Men’s 50+ title (with partner Paul Zander) in back to back months. He was the only player in the province to achieve this feat and therefore is a unanimous BK Player of the Month recipient. Hall edges out Windsor’s David Mill who went undefeated at the #1 spot in leading UWO to the OUA Men’s title and representing Ontario at the Canadian Men’s Senior Championships. Honorable mentions go to Scott Dulmage and Richard Thomson of the Granite Club who won the Ontario and US Men’s 40+ and 45+ titles respectively, Molson Robertson, also of the Granite Club, who took home the gold in the 70+ Men’s Vets (with Tony Swift), and silver in the 60+ Ontario Mixed (with Sybille Witt) and Paul Zander of the TRC who teamed up with Hall to win the 50+ Men’s Vets and narrowly lost with partner Robbin Morrison in the 50+ Ontario Mixed. On the women’s side, the people’s champion Sybille Witt of the Badminton and Racquet Club is our very worthy BK Senior Female Player of the Month. Witt and partner Monica Harry posted a huge upset to upend perennial champions Lolly Gillen and Lindsay Hermer-Bell in the Ontario Women’s 60+ Veterans final to follow up her silver medal (with Molson Robertson) in Ontario 60+ Mixed Championships. Sybille has been a long time supporter of squash for decades and gets a well deserved Provincial title for her continued love of the game – some say she still might be wearing her medal! Runner-up for this award goes to Robbin Morrison of the Toronto Cricket Club who struck gold in the Women’s 50+ (with Caro Sambrook) and silver in the Mixed 50+ (with Paul Zander), Stephanie Hewitt who won the Ontario Open Mixed (with Will Mariani) and the US Women’s Doubles Open, Queen’s Senior Alysha Anzik from White Oaks who went undefeated in leading Queen’s University to the Women’s OUA title and Team Ontario #1 of Sam Cornett, Hollie Naughton and Micaala Seth who took home gold at the 2018 Canadian Team Championships. Black Knight Player of the Month of Winter 2018 in the boys category goes to the Toronto Lawn’s Ewan Harris who completed the double Gold, winning Round Table Capital Gold #3 and #4 in the U13 division. Harris has been one of the most improved and consistent performers on the tour this season and has steadily turned into one of the top young players in Canada. Ewan edges out fellow double gold champions from Ontario Racquet Club in U11 star Arham Nadeem Izhar and U19 legend George Crowne. Honorable mentions go to the fastest rising juniors of the period in U15 Max Schewchenko of Ottawa, U13 Gabriel Van Morsel of Maple City Squash in Chatham, and U11 Rawaad Mir of River Grove Community Center. Our female recipient is Windsor’s Ananya Maheshwari who matches Harris’ double gold feat and continues to solidify herself as a national title contender after a season's worth of strong and consistent results in the deep Girls U13 category. She takes home BK Player of the Month honours with Round Table Capital Gold #3 and #4 titles and is one of a handful of rising stars in Graeme Williams and Dave Morrish’s Windsor Squash and Fitness Program. Ananya edges out Executive Squash and Fitness’s U11 sensation Miriam Wahba who shot up 8 spots from #15 to #7 after an 11-2 record including winning Grand Prix #7 as well as Sudbury’s Paige Dawson who burst onto the U11 scene by winning Silver #6a in Ottawa and debuting in the Top 10 at #9. Both have bright futures and are no doubt inspired by older stars like Maheshwari. Honorable mentions go to Hannah and Molly McCarthy who take home the 2018 Ontario Doubles Championships as an unseeded team in the U13 category. As always we thank Rankings and Program sponsor Black Knight for their support of the player of the month feature – be sure to visit the Black Knight Rankings Page weekly to see who is moving up the ranks!